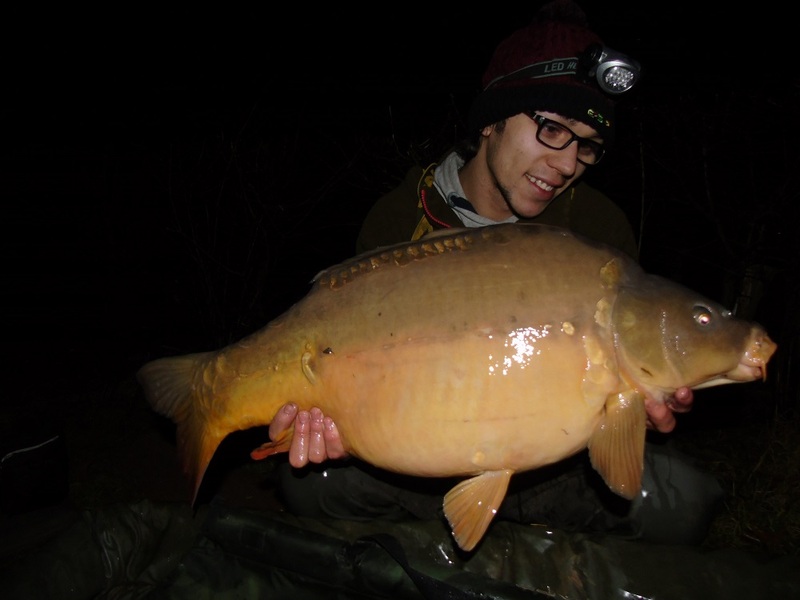 One of the biggest fish in Brasenose One made a New Year’s Day appearance to give Jack Leddington a new personal best. The 43lb 1oz mirror is just 3oz off the lake record at the popular Linear Fisheries water in Oxfordshire. It came as part of a four-fish hit for the 25-year-old Halesowen angler. 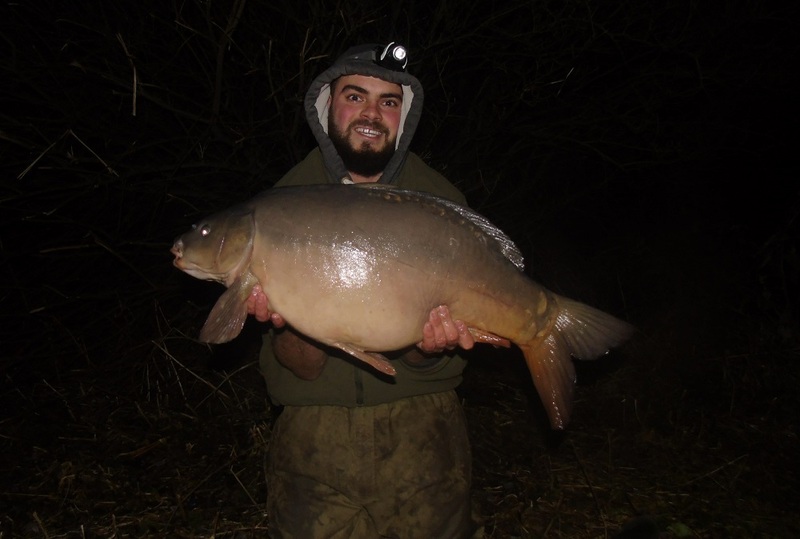 Jack told Carpfeed: “Me and a friend did Saturday night on Oxlease Lake with no sign of anything, and from speaking to a few people we found out nothing had been caught. “So we decided to move and, after speaking to a few other anglers, it was obvious that the far side of B1 was the place to be with several anglers catching the previous night. “After choosing swims I decided to fish at 80yds and put out a few Spombs of particle, hemp, groats and corn. “My first take came within two hours, which was a mirror of 25lb 14oz. A few more Spombs and a couple of hours later the next one was away at 29lb 10oz. “This was the last of the night and a nice way to end the year. “Next morning I was woken by a take at 8am, this time from a lovely 25lb 3oz fish – what a way to start 2018! “I put a few more Spombs out in the hope of one more, but little did I know what would be in my net next. “The take came just before a severe downpour which absolutely soaked me through while playing the beast. “The fish was photographed and weighed, and I was buzzing when the lads who were helping said it was 43lb. All the fish came to Pineapple Specials pop-ups from Horizon Baits.